ARFID Avoidant Restrictive Food Intake Disorder: A Guide for Parents and Carers is an accessible summary of a relatively recent diagnostic term. People with ARFID may show little interest in eating, eat only a very limited range of foods or may be terrified something might happen to them if they eat, such as choking or being sick. Because it has been poorly recognised and poorly understood it can be difficult to access appropriate help and difficult to know how best to manage at home. This book covers common questions encountered by parents or carers whose child has been given a diagnosis of ARFID or who have concerns about their child. Written in simple, accessible language and illustrated with examples throughout, this book answers common questions using the most up-to-date clinical knowledge and research. 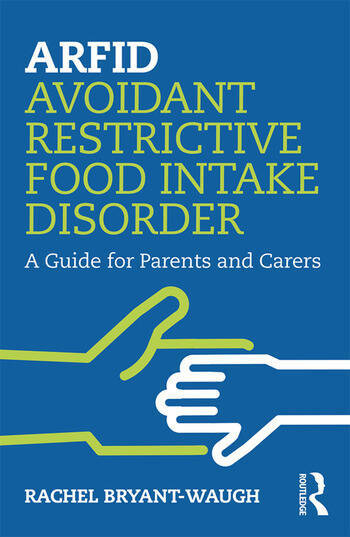 Primarily written for parents and carers of young people, ARFID Avoidant Restrictive Food Intake Disorder includes a wealth of practical tips and suggested strategies to equip parents and carers with the means to take positive steps towards dealing with the problems ARFID presents. It will also be relevant for family members, partners or carers of older individuals, as well as professionals seeking a useful text, which captures the full range of ARFID presentations and sets out positive management advice. Rachel Bryant-Waugh is a Consultant Clinical Psychologist with over 30 years of experience, specialising in the study and treatment of feeding and eating disorders in children and young people. She is an internationally renowned expert with a high level of clinical and research activity in this field.